We are aiming to release all of the Von Rotte Legion by the middle of March 2015! Fantastic news and we are so happy with the response from Flintloque and Slaughterloo players around the world with the Command Set, the Artillery Crew and the Line Infantry. 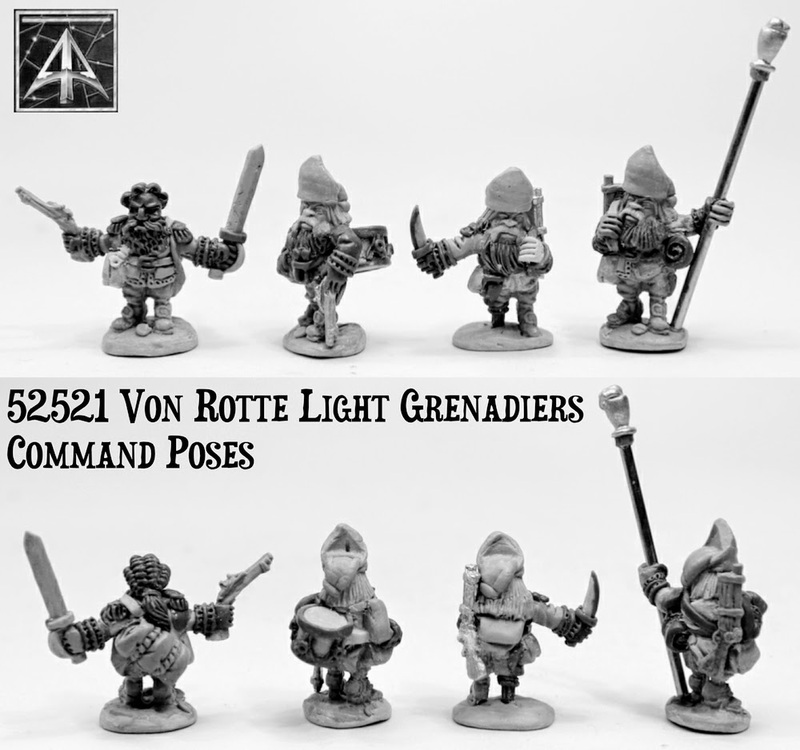 To this end this is the second to last first look posting for the Dwarves and this time its the Command set for the Von Rotte Light Troops. 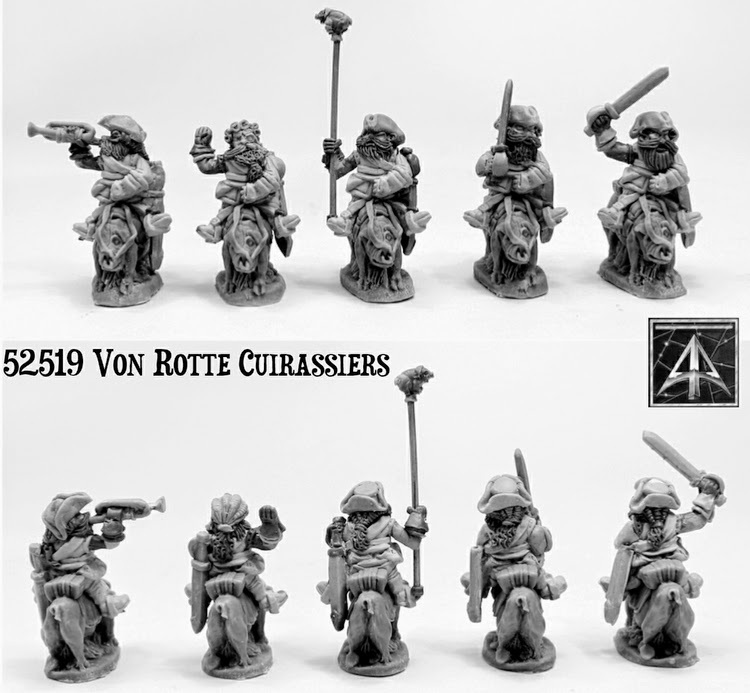 These four miniatures are to be added to the long standing former code 52012 Von Rotte Light Grenadiers and when combined with them forms an eight pose unit pack. Excellent! This will be a set of 28mm white metal Dwarf miniatures which will give you the skirmisher light troops which range out ahead of your line units and the rest of the army on the battlefield making sure no other skirmishers come near enough to cause harm. Meant for use with the Von Rotte Legion but they could be at home with any Krautian or Finklestein force really. Adding to an existing four (not pictured) poses of Light Infantry Trooper armed with Dwarf Musket MkII we show here four command poses. These poses are an officer with pistol and sword wearing a periwinkle wig, a musician with pistol and drum slung on his back, a sergeant brandishing a knife with his musket slung and finally a standard bearer with a 'brewery' pole and musket on his shoulder. A total of eight poses which will be offered in a unit pack of twelve suitable for Slaughterloo or a Flintloque section and also a choice of a single trooper poses to boost your collection. As with all our Valon miniatures we will offer the additional choice of purchase pro-painted and based by our team of ladies here in Scotland. 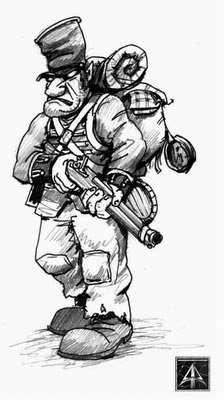 It is often in the skirmishers and light troops that a player of Flintloque feels most at home. What does this mean? Well Flintloque is a skirmish focused game and we know this so well that this set of previewed miniatures have eight poses in a total of twelve per unit. When you add an offer or other poses from other Von Rotte codes you can get twelve to fourteen characters who are all different in your Section. Naming them and giving them a back story becomes easy and your concern for their progress through scenarios assured. Skirmishers are ideal as they are used to operating without the iron discipline which holds sway over regular soldiers who march in ranks. 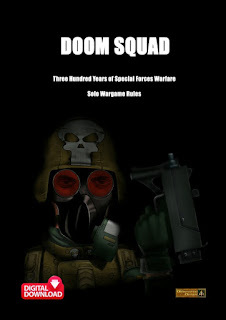 From Captain Sharke and his Rifleorcs to the elite Elf Carabiniers you can include the Von Rotte Light Troops in that category now. 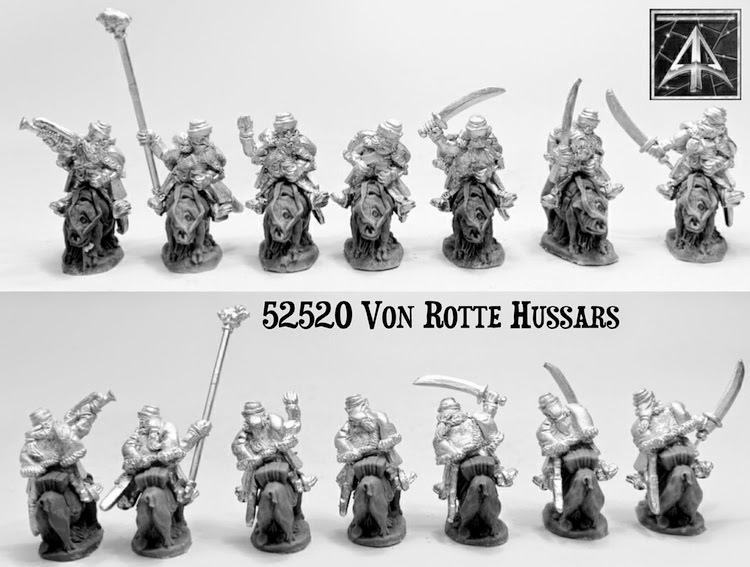 We are releasing the two units of Von Rotte Cavalry shortly so expect news coming your way about the Cuirassiers and Hussars being up for purchase. As for these short fellows they will be coming your way on or about the 12th of March 2015. Go HERE to see the rest of the Von Rotte Legion on our website. Thanks for Reading and one more first look to come!